POCKETLADER-XL V4 - 300 Watt - 10 Amps and large display. A powerful team for LiPo, LiFe, NiMh and Lead Acid Batteries with the 8s LiPo-Checker up to 34Volt. 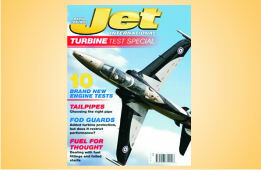 The evoJet B140vx is a longlife-turbine with 14,5 kg thrust performance. For more fun with the CARF Flash, Tomahawk FUTURA2 class. As of now all installation sets are equipped with a powerful LiFe-battery. Good for many cold starts and short recharge time of 15 minutes only (at 10 amps charging). Our teampilot Marco Benincasa is editor of the italian Modellistica INTERNATIONAL magazine. 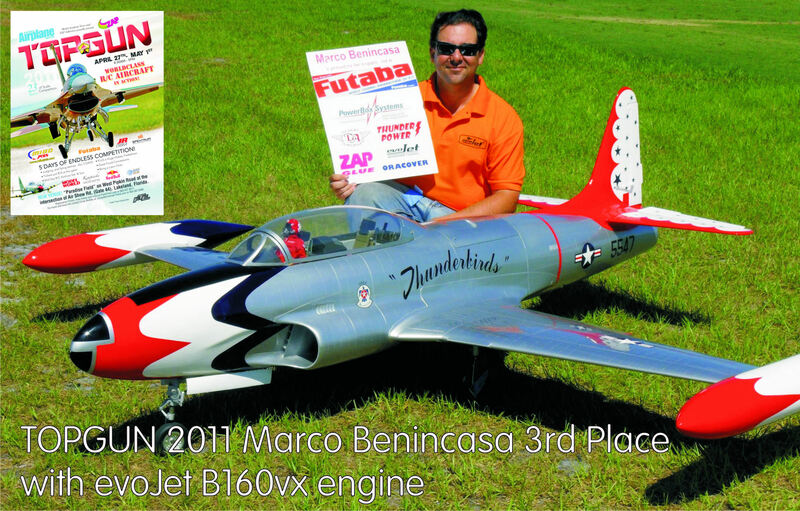 At TOPGUN 2011 in Lakeland/Florida-USA, Marco could archieved a fantastic 3rd place with his T-33. We all congratulate ! 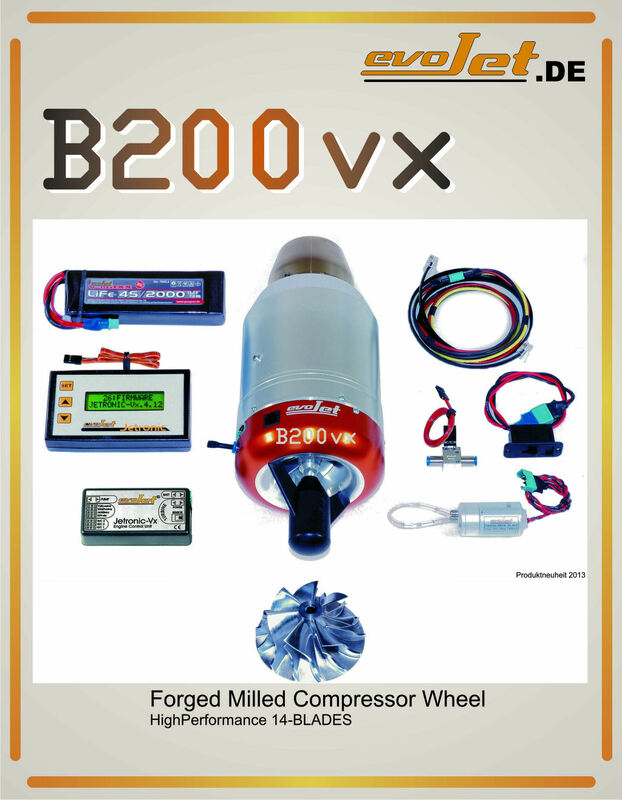 The evoJet B180vx turbine has a stronger compressor wheel as its siblings 130vx / 160vx. 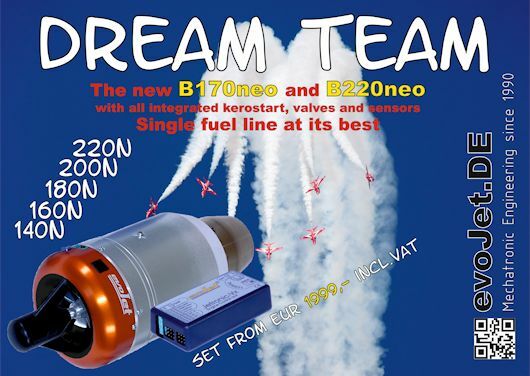 She provides with 18 kg / 40 lb the best thrust- to weight-ration for all big jet models. 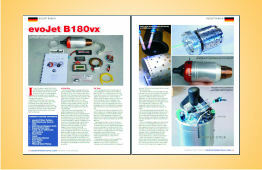 The new B130vx and B160vx turbines are now manufactured and distributed by evoJet only. These turbines are kerosene startup, all new rotor design with a high-performance turbine stage and a 5-axis machined compressor wheel. 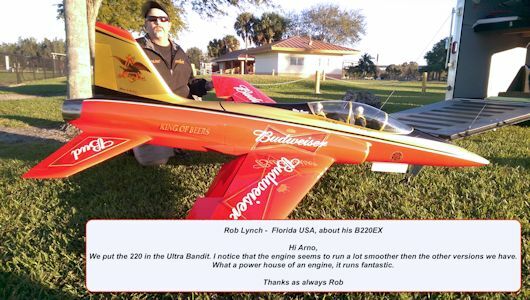 All wheels are made to a certified aerospace standard. The new 4th generation Jetronic-Vx ECU controls reliable the kero-startup and scores with proven fast regulating behavior and user handling. After twenty years of successful corporate history, Orbit electronic becomes evoJet Inc. All Orbit products are now cherished and distributed by evoJet. The evoJet refueling station is now equipped with a revised digital control electronics. It has a under-voltage protection for using LiPo batteries. A new flexible spiral tubing is also easily and safely out of hand.